FRANKFORT, Ky. (AP) — Just how cold is it in Kentucky? Apparently cold enough for an escaped prisoner to decide to turn himself in. 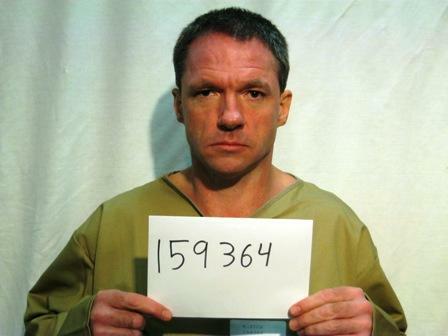 Authorities said the inmate escaped from a minimum security facility in Lexington on Sunday. As temperatures dropped into the low single digits Monday, officials say the man walked into a motel and asked the clerk to call police. Robert Vick, 42, of Hartford told the clerk he wanted to turn himself in and escape the arctic air, Lexington police spokeswoman Sherelle Roberts said. Vick was checked out by paramedics and returned to Blackburn Correctional Complex, Roberts said. "This was definitely of his own volition," she said. "It's cold out there, too cold to run around. I can understand why the suspect would turn himself in." Vick would have been dressed in prison-issued khaki pants, a shirt and a jacket when he escaped, Department of Corrections spokeswoman Lisa Lamb said. Wind chill readings were 20 below zero Monday in Lexington. The Lexington Fire Department treated Vick for hypothermia Monday evening, Roberts said. A call to the department was not immediately returned Tuesday morning. Vick was serving a six-year sentence for burglary and criminal possession of a forged instrument at the time of the escape from Blackburn Correctional Center. There was no answer at the Sunset Motel and Restaurant, where Roberts said Vick surrendered, on Tuesday morning.